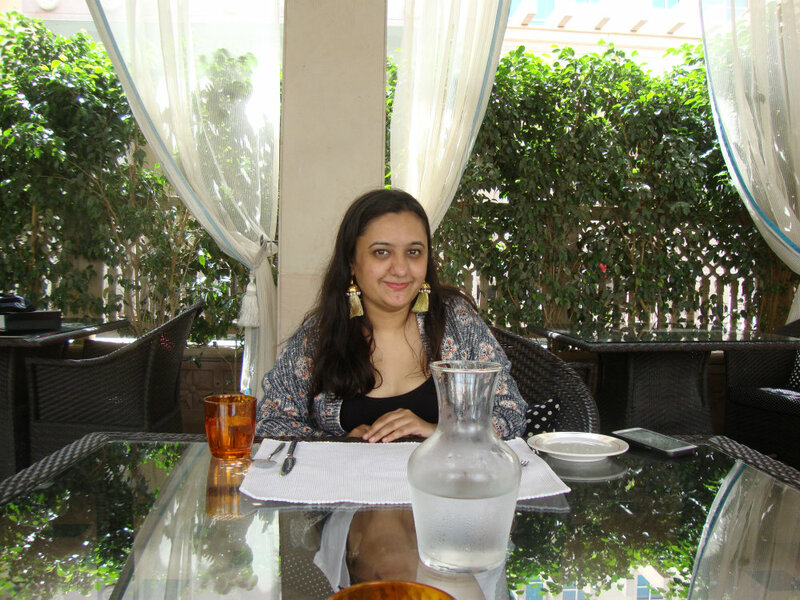 In my previous blog, I mentioned the five privileges that I was gifted to me by ITC group of hotels for participating as a responsible luxury panelist in 2017. While it was a grand experience to be associated with the brand and I also learned a lot about the hospitality industry so closely. The best part of my privileges was reserved for the last, and that occurred to me when I booked a weekend stay at the ITC Grand Bharat. The absolutely luxurious experience came with an all paid stay and spa session for two, and not only was I spoiled by the amazing facilities at the property but I was given a suite with my own private pool attached to it (how awesome is that!). 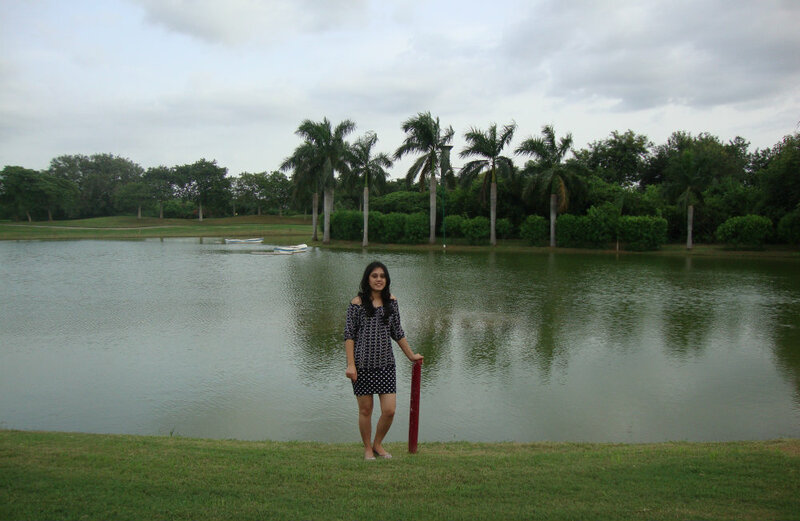 The three-day trip at this palatial property was as good as it gets, and I was literally treated like royalty at the hotel (I am trying my best to keep the tone modest, but this is how it feels when you get to spend a weekend at India’s most luxurious golfing resort). What can I say — the perks of being with the best! The Grand Bharat resort follows a traditional Indian theme and is built like a mini-city with temple-like architecture, and the main entrance is designed like a palace entry which gives it an impression of a bright red stone shinning in the middle of the green ring surrounded by rocky Aravalli terrains. My most favorite memory of the resort was waking up to the blissful nature and watching birds chirp across the acres and acres of golf course. It is one of Asia’s biggest golfing resorts, I was told by my butler, who took us around the entire property in a golf cart. He took us to a serene lake tucked in the middle of the green land and told us about the flora and fauna that is cultivated in this region (if you are a golfer, you have to be here once in your lifetime). The resort is around 40 km away from Delhi and is an hour’s drive from Gurugram. According to the hotel staff, the property is spread across 1.2 sq km estate, and is built like a small town with 4 Presidential Villas (the Mauryas, the Marathas, the Mughals and the Cholas), 100 suites (some with private pools), 27-hole Jack Nicklaus Signature golf course and a gorgeous spa and treatment centre. It is advisable that you reach here during the daytime as the nearby roads are still developing. When we reached the resort, we were given an extremely warm welcome by Ms. Khetrapal who gave us a private tour of the Peacock bar, adjacent restaurants and interiors of the hotels. We were taken to our suite on a golf cart, and inside our gorgeous suite, we found a special handwritten note by the GM waiting for us framed in a bright orange photo frame. Undoubtedly, customization is the best way to leave an impression on your patrons, and ITC hotels seem to excel in this art. However, the rest of the itinerary was already planned for us and after having a few hours to ourselves; we stepped out to explore the retreat. The ITC Grand Bharat’s architectural influence of the place takes inspiration from Adalaj, Gujarat, the Nagara style Mukhteshwara temples of Orissa, the royal palace of Baroda and the ghats of Varanasi – and, every evening an aarti is conducted at the hotel near the indoor stream to celebrate the confluence of three main rivers of India also known as the Sangam (meeting of Ganga, Yamuna and Saraswati rivers). My weekend trip to the hotel included a plus one, and I was accompanied by my sister, who was equally excited to be a part of this experience. 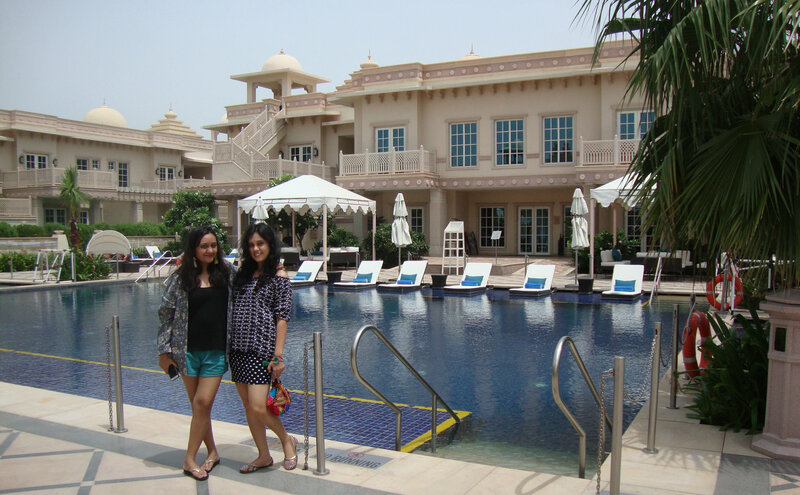 We had a great time sampling delish food and bonding over this luxurious retreat. We even got to learn some in-house recipes at the Classic Cuisina sessions and discovered some super fun facts about cocktails at the Peacock bar. The hotel also arranged for our personalized Ayurvedic spa consultation and treatments at the Kaya Kalpa spa center, which helped get closer to nature and rejuvenate in the most soothing way. Funny story – while I was in the spa center, my therapist was telling me about the benefits of the kaya kalpa treatment and the other facilities at the spa, I fell asleep on the table – guess I was just too relaxed to be around so many pure elements of nature. Anyhow, I went back to my suite and took a quick swim in the pool and headed for a tour of the wide-spread golf course attached to the property. The golf course was so huge that after a while I could only see miles and miles of green carpet and a little lake tucked in between.